Land Of The Free Tin Sign - Vibrant Patriotic Artwork, Corrosion Resistant, Fade Resistant, Rolled Edges, Mounting Holes | BUDK.com - Knives & Swords At The Lowest Prices! We really love our service men and women, both active and veteran, so we recommend this awesome tin sign to every American to show their support for the Armed Forces! 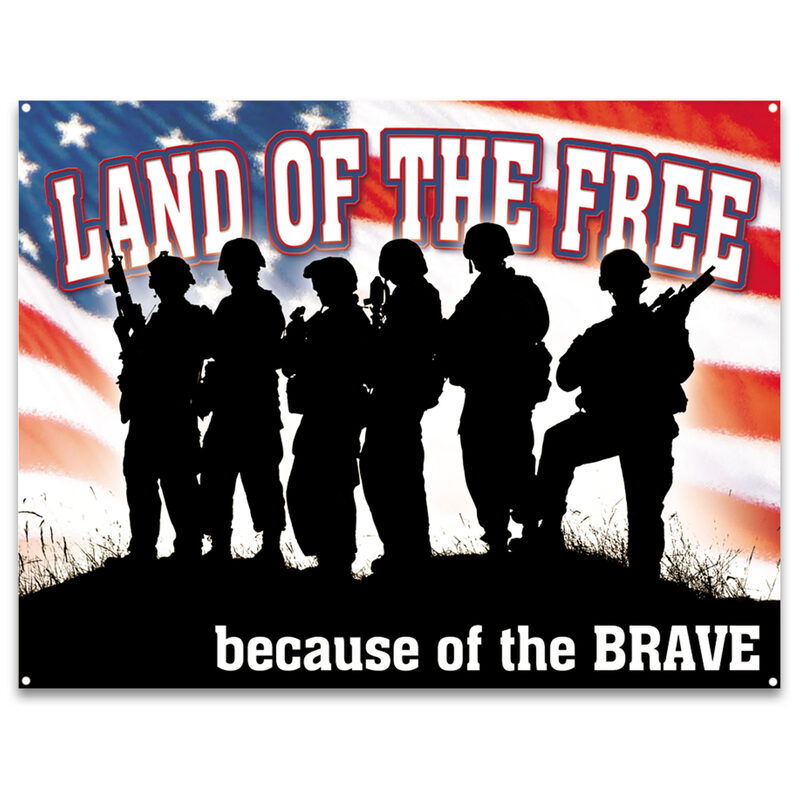 The vivid artwork on the sign conveys its patriotic message using detailed soldier silhouettes against a US Flag background and the message, “Land of the Free Because of the Brave.” Top-quality, corrosion resistant metal construction and advanced, fade resistant printing allows for posting this sign outdoors, too. It also features rolled edges and a pre-punched mounting hole in each of the corners.